You can watch the entire 24-hour broadcast right here: http://asteroidday.org/live | View the full schedule, here. | Find out how to watch it, here. Time is running fast! There’s officially only one month left until Asteroid Day 2017 and our live broadcast programme is taking clear forms. The schedule is set, the outline drafted, a studio set being built and most of the speakers confirmed. Here’s our rundown of whom you can expect during the 6 hours live from Luxembourg on June 30th from 12 – 6 PM (Berlin time / UTC+2). This line-up in addition to the many guests and speakers over the course of the 24-hour-live-broadcast during the other programme slots by our partners at ESA, JAXA, NASA, the University of Arizona and many others. We count ourselves fortunate to have gained Brian Cox as host for the 6-hours broadcast live from Luxembourg. Brian Cox is an English physicist and professor in the School of Physics and Astronomy at the University of Manchester, Officer of the Order of the British Empire and Fellow of the Royal Society who appeared in many science programmes on the BBC. First, there are the participating international astronauts. 5 of them have been confirmed so far. Jean-François Clervoy, French ESA astronaut who flew 3 times aboard space shuttles Atlantis and Discovery, to study the atmosphere, to resupply the Russian Mir space station, and to repair the Hubble space telescope. He is also the founder and chairman of the Zero-G parabolic flight program in Europe. Ed Lu, American NASA astronaut who flew on two space shuttle missions, a Soyuz mission, and a long duration ISS mission, logged nearly 206 days in space. Ed is the co-founder of B612 Foundation and a recipient of NASA’s Distinguished Service Medal. Rusty Schweickart, Apollo 9 astronaut performing the first EVA of the Apollo programme, co-founder of the Association of Space Explorers, the B612 Foundation, and Asteroid Day. Nicole Stott, Artist and American NASA astronaut, flew on the space shuttles Atlantis and Discovery (including the final flight of Discovery) and lived and worked for over 100 days on the ISS. She took part in the assembly and scientific mission of the station, and was the first to fly the robotic arm to capture a free-flying HTV. She is now sharing the awe of spaceflight through her artwork. For in-depth knowledge about space and asteroids, we turn towards our panel of astrophysicists and astronomers, a diverse group that will certainly cover all your asteroid-related questions. Mark Boslough, expert on planetary impacts, and chair of the Asteroid Day Expert Panel (ADXP) with a BS degree in physics and a MS and PhD in applied physics. He was the first US scientist to visit the site of the Chelyabinsk airburst, his simulations of the event appearing on the covers of Nature in November, 2013, and Physics Today in September, 2014. Retired after a career at Sandia National Laboratories, he is now an Adjunct Professor at the University of New Mexico, Department of Earth and Planetary Sciences. Ian Carnelli, is the General Studies Programme Manager at the European Space Agency. He has been working on asteroid mission concepts over the past ten years and is currently the Asteroid Impact Mission (AIM) manager, ESA’s contribution to the joint ESA-NASA Asteroid Impact and Deflection Assessment (AIDA) mission. Binary asteroid 1991 PA11 is named after him. Stuart Clark, English science writer and journalist for The Guardian with a PhD in astrophysics and a fellow of the Royal Astronomical Society. He also divides his time between writing books, and writing articles for New Scientist, where he is a consultant. Matt Dawson, passionate English amateur astronomer for over 50 years, based in Luxembourg, and winner of the 2001 Planetary Society Shoemaker Award for his NEA work, Matt Dawson runs the NEA observing programme at the Observatoire des Côtes-de-Meuse in France (on behalf of Luxembourg’s National Museum of Natural History). He works as a professional musician and is active in NEA education throughout Europe. Julia de León, a doctor in Astrophysics at the Instituto Astrofísica de Canarias, in Tenerife on the Canary Islands where she works on the mineralogical characterisation of near-Earth and main belt asteroids through the analysis of their visible and near-infrared spectra. She is a member of the science team of the NASA OSIRIS-REx sample-return mission. Alan Fitzsimmons is Professor of Astronomy at the Queen’s University Belfast Astrophysics Research Centre, and is a member of the Pan-STARRS, LSST and NEOShield-2 Science teams. He studies asteroids and comets throughout the Solar system, and led observations of asteroid 2008TC3 just 4 hours before Earth impact. Marco Fuchs, attorney, owner, CEO and, since 2000, member of the executive board of OHB, one of the leaders of the European space technology industry, involved in all imaginable fields of the space business, from satellites, over manned spaceflight, exploration, and ARIANE launch systems to security/reconnaissance technologies. Mario Jurić, is a Professor of Astronomy at the University of Washington and a leader of the Solar System group at UW’s DIRAC Institute. His group is developing next generation asteroid discovery algorithms, including codes for the Large Synoptic Survey Telescope. While still an amateur, with friends at Visnjan Observatory, he discovered hundreds of asteroids and one comet using a 40cm hand-made telescope and homebrew software. 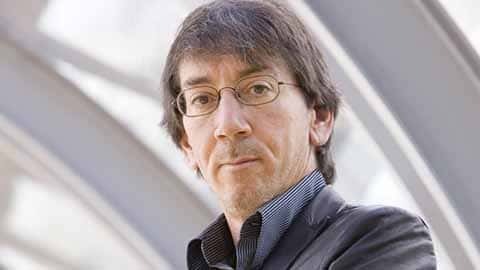 Gianluca Masi, Italian astrophysicist with a PhD in astronomy and dedicated science communicator who started the Virtual Telescope Project in 2006, crowdsourcing observations of the universe. Fun fact: By studying the placement of the stars in it, he managed to determine the exact date that Van Gogh painted Nuit étoilée. Patrick Michel, French planetary scientist with a PhD in Astrophysics, senior researcher at the Centre National de la Recherche Scientifique and leader of the “Theories and observations in Planetology” team at the Lagrange Laboratory of the Côte d’Azur Observatory in Nice. He serves as Co-I of the two asteroid sample return missions, NASA’s New Frontiers OSIRIS-REx and JAXA’s Hayabusa2, and as PI of the Asteroid Impact Mission project during its study at ESA. Naomi Murdoch, is a researcher at the Institut Supérieur de l’Aéronautique et de l’Espace (ISAE-SUPAERO) with a PhD in Physics and Planetary Science. She is currently working on two Mars projects: the InSight mission, scheduled to launch in May 2018; and the Mars Microphone, which will fly on the Mars 2020 mission. Her research also includes studying how asteroid surfaces behave in the low-gravity environment, and developing techniques to probe the physical properties of asteroids. Markus Payer, Vice President, Corporate Communications & PR at SES, the global satellite operator whose satellites reach 99% of the World’s population, delivering TV programming to over 1 billion people in 325 million homes worldwide. Ruy Pinto, Deputy Chief Technology Officer at SES and former chair of UK Space, the UK space industry trade association. He has a background in electronics and data communications. Danica Remy, Asteroid Day co-founder and CEO of the B612 Foundation, has successfully led operations for cutting edge organisations in the areas of technology and public benefit corporations. Grig Richters, Asteroid Day co-founder, director, producer, and activist, whose film 51° North inspired Asteroid Day and the idea of a global day to raise awareness of asteroids. Etienne Schneider, Deputy Prime Minister and Minister of the Economy of Luxembourg, and the driving force behind Luxembourg’s SpaceResources.lu initiative. Frans von der Dunk, Professor of Space Law at the University of Nebraska-Lincoln, holding a Doctorate in Space Law from the University of Leiden. The first lawyer ever, to be a member of the European Space Sciences Committee (ESSC) of the European Space Foundation (ESF) and sole lawyer on the Panel on Asteroid Threat Mitigation established by the Association of Space Explorers (ASE) in 2007. In his function as expert on space law, he advised several governments, international organisations and space agencies. Kyle Acierno, Managing Director of ispace Europe. ispace is managing the front running Google Lunar XPRIZE team Hakuto and, with offices in Luxembourg, Japan, and the USA, has aspirations to utilize the resources on the Moon. Kyle holds a Masters in Space Studies from the International Space University and a Bachelors in International Security from Simon Fraser University, Canada. S. Pete Worden, PhD in astronomy, current Chairman of the Breakthrough Prize Foundation and Executive Director of Breakthrough Starshot, Brigadier General in the US Air Force, and Director of NASA Ames Research Center from 2006-2015. Jean-Louis Schiltz is a tech law advisor and an honorary University professor. He advises the Luxembourg Government on the legal aspects of space activities. He is a member of the advisory board of SpaceResources.lu. He is also the Chairman of the board of CLT UFA, a sister company of BCE. SpaceResources.lu and BCE are global sponsors of the Asteroid Day. From 2004 to 2009, Jean-Louis Schiltz was a Cabinet minister in Luxembourg. As mentioned above, the entire programme from Luxembourg will be moderated by Brian Cox – so no reason not to tune in on June 30th from 12pm (Berlin Time / UTC+2) on!